Since launch, we've been refining the way you expand your item collection. We previously introduced loot drops, the ability to directly acquire any non-event item through the Collection Book, Llama dupe prevention, as well as gameplay-based event rewards, and now we're ready to take the next big step. Introducing "X-Ray" Llamas! Previously known as V-Buck Llamas, X-Ray Llamas will now show you the contents before you purchase it. Not interested in what the Llama offers? Simply wait until the daily store refresh and there will be a new selection. 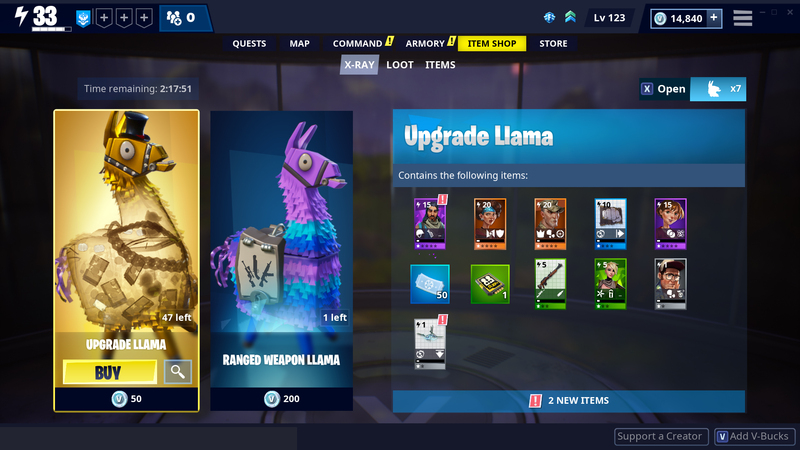 Starting in update v7.30, any Llama available in the V-bucks store will show it's contents without requiring a purchase. You will no longer be able to purchase multiple V-Buck Llamas at once when this feature launches. We are making this change so we can show you the rewards of each Llama one at a time, which gives you more choice in the Llamas you decide to open. Mini Llamas and event Llamas are still normal Llamas, not X-Ray Llamas. By keeping them as normal Llamas, you can still bulk open these with resources earned through gameplay. 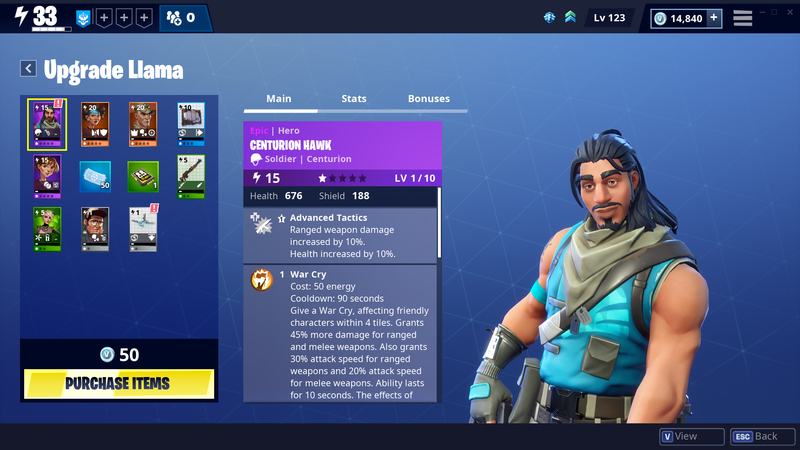 All existing Save the World players will receive 5 free Llama Upgrade Tokens to try out the new system. Take a look in the Item Shop! Remember that your X-Ray Llamas refresh daily! 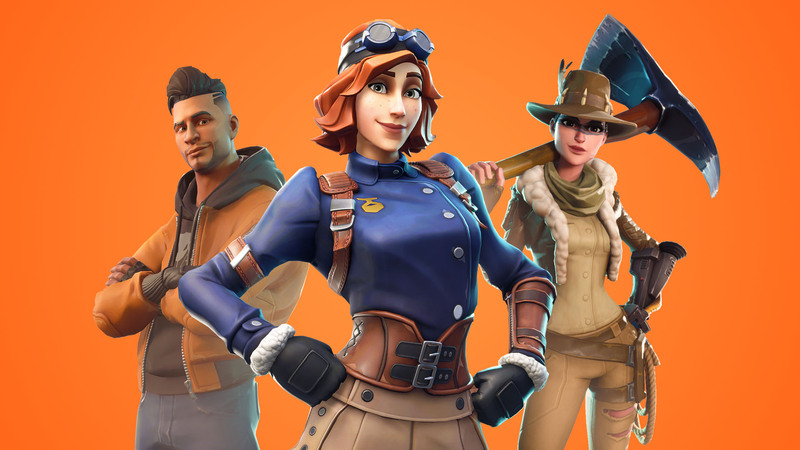 Thanks for playing Save the World, stay tuned for more updates.